I feel this afternoon that the search for a pithy title for this post would be an undue use of my effort. 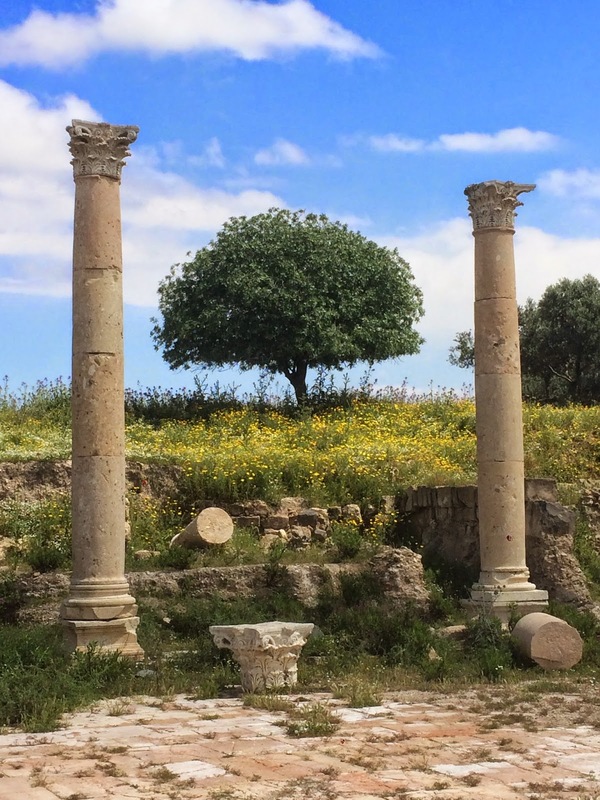 Today is April 18, 2015; the sun shines through the haze over Madaba, and five weeks remain in the school year at King's Academy. This is very likely not my last blog post, but we have gotten close enough that such disclaimers feel worth including. Two months have passed, and the words "blog post" are starting to burn a hole in my iPhone Notes. Let's get up to speed. What has happened since my last day as a 24-year-old? The birthday was an utterly normal day, except that I remember it being more stressful than usual. Some students surprised me by bursting out of an elevator holding a cupcake, which was a nice way to start Glee Club rehearsal. That weekend we hopped over the border to brave wind and rain during Tel Aviv's only non-beautiful 48 hours of the entire year, though the city managed to clear up in time for a totally lovely outdoor brunch. 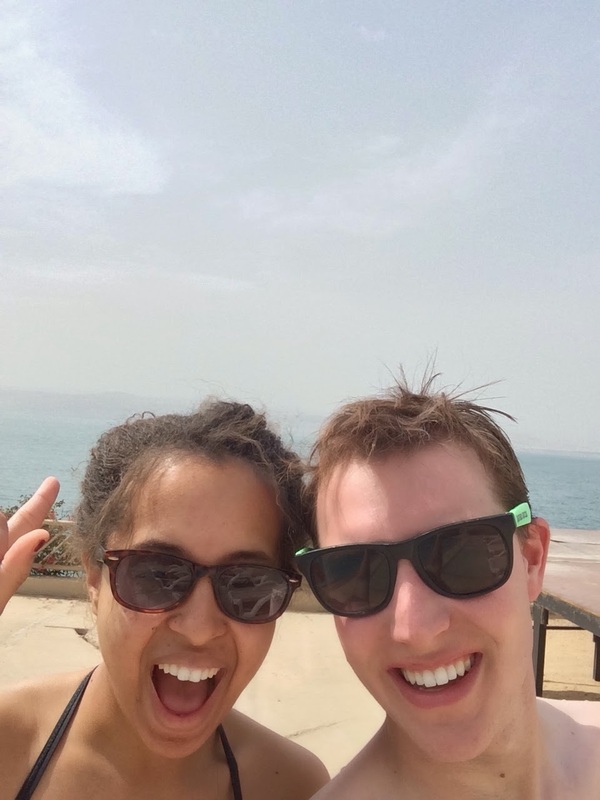 Ice cream sandwiches, late-night beers, strolling on the beach, and perhaps the coolest club I've ever been to made for a great late birthday present. Did anything else happen in February? Our Lord of the Rings marathon happened in February. 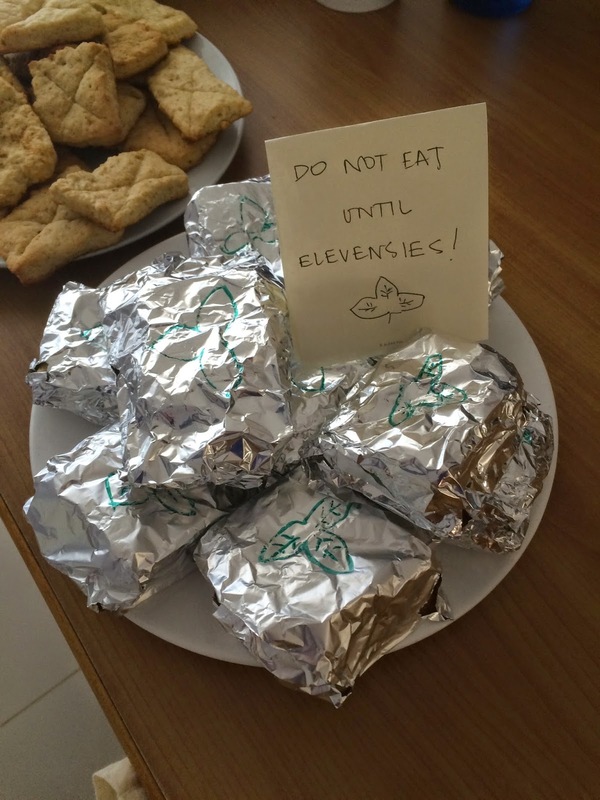 I made lembas. Don't let anyone tell you we don't have a good time out here in the desert. And then it was March, I guess? My final semester at King's began; I'm teaching two sections of Ethics instead of Philosophy and have only recently decided that maybe I should mess with the curriculum after all. I think I'm going to keep my brain active by actually making the end of the term about ethics, rather than sticking with the same Philosophy syllabus I've been tweaking for the past two years. It'll still be pretty similar, because my class had so much Ethics in it anyway, but I'm now deciding whether to keep watching The Matrix or maybe try Minority Report instead. Input welcome. And the students asked if they could sleep under the stars, and I said no, and a good time was had by all. I'm glad I went up there; we also got to visit Ajloun Castle which is gorgeous. And then it was Spring Break! And Sam came! It was a pretty amazing visit, if I do say so myself. Jerusalem (with a day trip to Tel Aviv), Petra/Wadi Rum with Andrew and Katherine, and enough time up north to see Amman and Madaba and a full King's Academy school day. We ate enough food for several more people, and I can't think of a better way to have spent spring break. And then Passover came and went, and I actually made it BACK to Jerusalem for the Seder. Was a little sad to miss our own festivities at King's, but given the chance to make "next year in Jerusalem" a reality, I didn't think I could pass it up. So that was a week ago, just about. 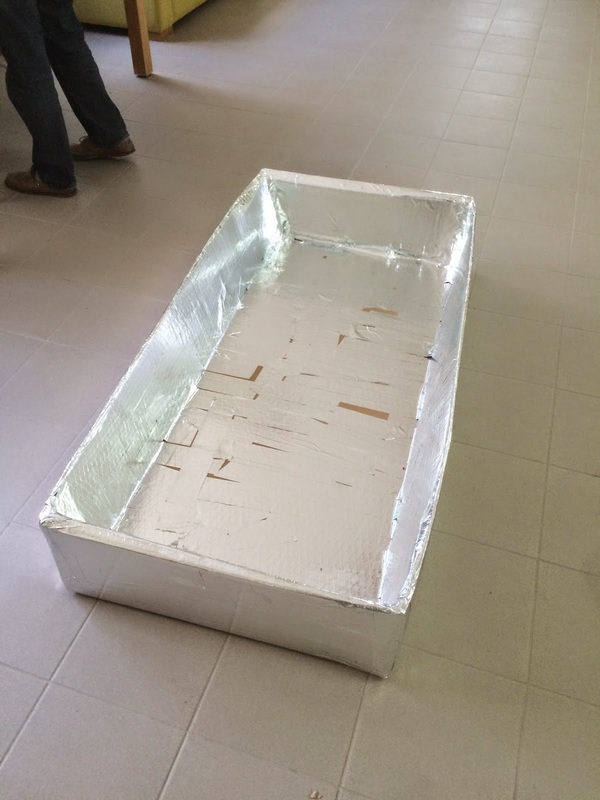 Since then, we made another cardboard boat for the cardboard boat race. Team Humanities Hubris decided to up our game for the second year by covering the entire boat in tape, instead of just most of the boat. We tried to fit three people in the boat and sank immediately. But enough about the past! Today it is still sunny out, and will be for another hour, and I've decided to do this instead of grading or lesson planning for the time being. I will probably start the business of life soon, given that we're approaching the first 5-day week in a while (thanks, Easter long weekends!) and the Glee Club has its big spring concert on Wednesday. This will be one of those busy busy school weeks, and I think it'll go by quickly. Such is the present; as for the future? Still too cloudy to tell. I began the process of applications months ago, and it's starting to become time for interviews and conversations and thoughts about What's Next. Nothing set in stone just yet, which I'm OK with, and enough irons in the fire that I feel more excited than anxious about returning to the states. I finally told my advisees that I'm leaving, which was about as easy as I'd anticipated, so I probably shouldn't have been such a procrastinator about it. The hard part might be telling the Glee Club, or my Big History students, but they'll manage. - looking at plane tickets to America and deciding whether to go straight back or take a little vacation somewhere in between. Greece? - the ongoing psychological battle, toughening as the days pass, between focusing on now and focusing on the next thing. With barely over a month of school left, my barely repressible instinct for counting down finds itself torn between the thrill of proximity to the end and the banality of the inevitable. At this point, why even count? April will be May two Saturdays from now, and then we've really hit the final lap. I'm doing my best to make each day count, to put my efforts into concerts and classes and grading and engaging, but there are times when it doesn't feel as easy. I think the routine of busy five-day weeks will help, and we've got nothing but those left until the end, so it's time to get back in the saddle and ride this thing to the finish line. I think I'm in a metaphorical mood today. You'll hear from me again before the plane takes off for Washington. I saw a plane fly over the dorms two nights ago, and thinking about myself in a similar such plane brought on one of the strongest bouts of nostalgia I've felt this spring. Will those feelings intensify as the end approaches? I imagine so. If you're real lucky, you'll get to hear about it.